And the list goes on… When you suffer from chronic pain, your strength, stamina, and tolerance level go down and it affects your life and performance. Throughout the month of September, more attention about pain awareness is discussed to help those in pain. Chiropractors and other designated this month to raise awareness about the long-term and dangerous effects of chronic pain. During this pain awareness month, we try to provide more education to people on the importance of taking care of themselves so they can avoid pain and discuss the symptoms of pain and their appropriate treatments. 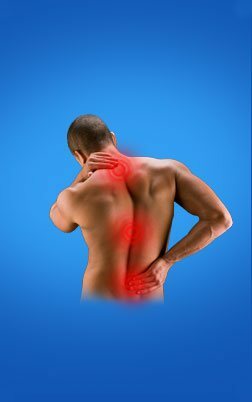 By openly discussing the problems and long term effects, we and other organizations hope to help alleviate pain symptoms and avoid them if possible. Following ACPA on Facebook. Ask people in your circle to follow it too. Telling everyone the significance of participating in a pain awareness program. Calling your state representatives and informing them about the importance of pain awareness. Consulting with your doctor about your pain symptoms and available treatment options. Donating to the ACPA to encourage them and show your support. Investing time and effort to look after yourself. Nearly 20% of Americans who experience pain cannot sleep properly. 5 hours of productivity per week is lost because employees suffer from chronic pain. Most likely 80% of Americans will suffer from back pain at some point of their life. Take this Pain Awareness Month as an opportunity to learn more about pain, pain management and how to reduce or remove the pain in your life. Treatment options like all natural, safe, drug-free chiropractic care allows your body to help heal itself just by keeping it aligned. Talk with Dr. Paul Daigle of Central Street Chiropractic or other Lowell chiropractors to find out how he can help you return to a pain-free life in a non-surgical way.